Why you need a spa break! 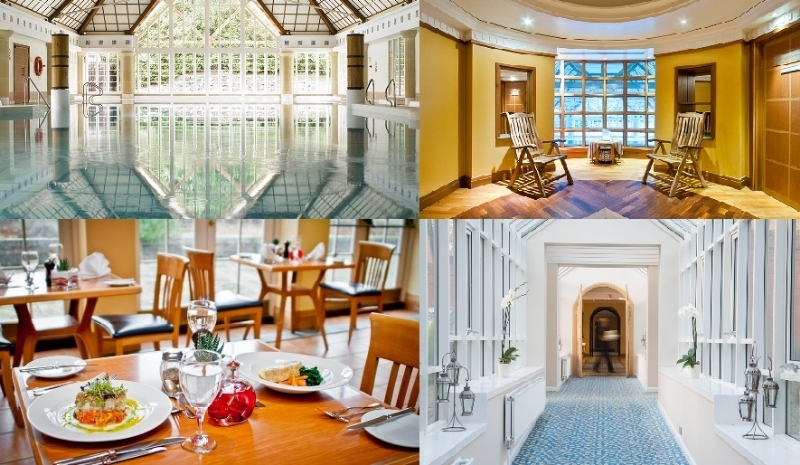 Join us at Champneys Forest Mere for a wonderfully relaxing weekend. Do you know how important it is to take time out for yourself to help you relax, switch off and come back to daily routine feeling a new person. Do you have time to stop and think about YOU?? Why you need time out! Simply put – You time is essential to spend time on yourself! Why? Do you get ‘You Time’? Do you get enough? We work on mindfulness and helping you enjoy the NOW ! Our next Spa Weekend starts 16th October to 18th October and here is the fantastic programme. Tempted? To make it even easier for you to indulge we are offering a very special discount for this week only. £30 extra single supplement, (extra £10 for Saturday night). To book on contact hannah@farnhampilates.com. We look forward to meeting you. 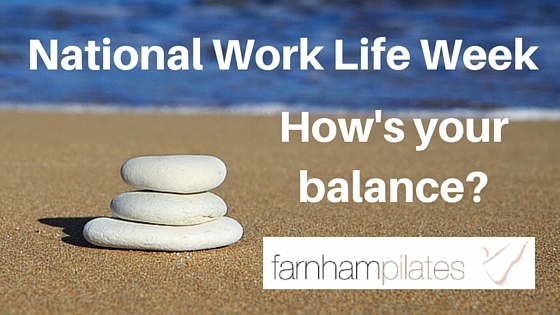 National Work Life week – how’s your balance? It is National Work-Life Week starting on Monday 21st September with the aim of highlighting the importance of maintaining a healthy work/life balance. Having a lifestyle mix of work, family and health is an important challenge many of us face today with studies showing that those working 55 hours a week or more have a 35% increased risk of suffering a stroke than those who work 40 hours or less. Maintaining work and a healthy lifestyle is one of the most challenging aspects my clients face and I even struggle at times especially on children’s holidays. Finding the right balance between family, work and looking after yourself can be very stressful and it’s often difficult to get the mix right. We can end up sacrificing our own wellbeing to work or spending time with the family but in the end if we aren’t looking after our health then everything suffers. Regular exercise boosts energy levels make you feel more alert and happier. It can really make a huge amount of difference in how you perform at work and helps clear your mind and put everything else in perspective. Here are five easy tips on how you can make improvements in your work-life balance. • Work out or walk with your partner and friends. • If you have young children taking it in turns in the evenings to run or go to classes helps encourage each other. • Do try and get 10 minutes of exercise done first thing even before children are up, then it’s out the way and you will feel so proud of yourself! • Exercise with the children encourage them to go exercise i.e a bike ride or log onto you-tube, or buy an online programme like the Yummy Tummy 6 week programme for mums. This weekend I am speaking at the WIFE conference in Guildford (Wome in Fitness Empowerment) all about youtime and how you can obtain a better balance. If you would like to join us and see other inspirational speakers such as Anna Kennedy OBE who took part in The People’s Strictly the you can find out more here.